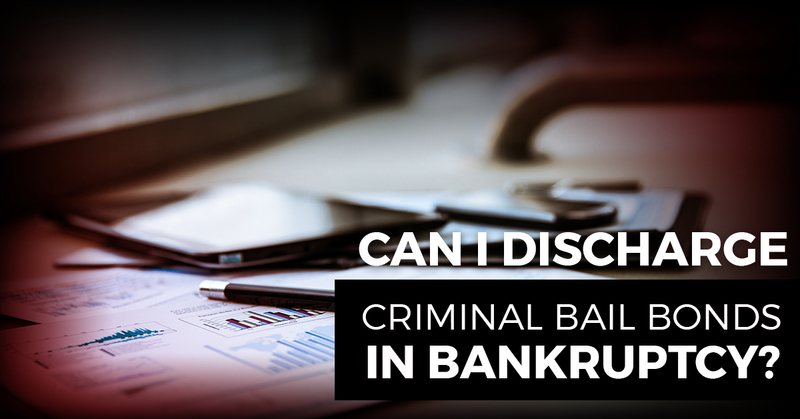 Bail Bonds New York City: Can They Be Discharged In Bankruptcy? You would do anything for a family member or friend. But if you go so far as to post bail on their behalf, chances are that you’re making a financial sacrifice, at least in the short-term. You have no doubt that he or she will pay you back in no time. But what happens when the person you trusted skips their court appearances? Well, such a move leaves you owing the bail bond agent and possibly facing bankruptcy. Keep reading to learn if bail bonds can be discharged in this particular situation. Let’s first look at what the bond covers. If you posted bail that creates a lien on some property that you own (collateral), the question becomes this: Can you avoid the “lien” for lack of value in a bankruptcy case? Think of this like any other lien or mortgage on your home. If there’s not enough collateral to cover the lien, then it will likely be avoided in a bankruptcy proceeding, effectively leaving you with the property. Therefore, if the bond is just a personal guarantee that you will pay the bond amount if the accused skips town, it falls into the category of unsecured debt. It’s important to know that the debt must come under some provision of Bankruptcy Code Section 523 to survive if you later file for bankruptcy. Contrary to popular belief, a bail bond is not a debt owed to a government authority. It’s actually a private contract where a third party pays the government on a guarantee of debt. In turn, the bond debt is dischargeable. This isn’t exactly black and white, though. If it’s determined that the bond was obtained by submitting a false financial application or by actual fraud, then discharge may no longer be a possibility. It may be best to consult legal counsel to come up with a solution. As aforementioned, collateral can play a pivotal role in this process. You can see on our FAQ page that collateral is defined as something of value used to secure your debt obligation and ensure payment, such as real estate or cash. Be aware that, when dealing with a bail bond company, documentation is required for your collateral. This could be anything from a deed to a home or vacant land to stock options and passbooks for savings accounts. At ABC Bail Bonds in New York City, we accept real property nationwide as well as Puerto Rico, Dominican Republic, and Columbia. Rest assured that when the defendant’s case has been completed and financial obligations are satisfied, any bail bond collateral you put up is returned. It’s anything but easy to find affordable bail bonds in NYC. Our bail bonds agency is the exception. A third-generation business with more than 50 years of experience, we go the extra mile in helping customers. Not only does our bail bondsman accept major credit cards and checks, but can also come up with a stress-free payment plan to fit your needs. Call ABC Bail Bonds for 24/7 service.